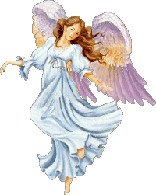 Here are quotes I've collected about angels. Our acts our angels are, for good or ill, our fatal shadows that walk by us still. You know, bad people - I've never seen bad people have angels. Now all the knowledge and wisdom that is in creatures, whether angels or men, is nothing else but a participation of that one eternal, immutable and increased wisdom of God. I'm beginning to believe that there are angels disguised as men who pass themselves off as such and who inhabit the earth for a while to console and lift up with them toward heaven the poor, exhausted and saddened souls who were ready to perish here below.